The rumors had been gaining momentum for months, and US music fans no doubt grew tired of the bluster emanating from their European counterparts, waxing lyrical about Spotify as though it was the Second Coming. But the rumors were officially put to bed last week, when Spotify launched a splash page, announcing ‘Spotify is coming to the U.S.’, inviting interested parties to sign up for an invite. Yesterday was a hotbed of activity, as news began to spread that the Spotify US launch was imminent. With Spotify launching in the US today, let’s take a quick look back at a company that, alongside Skype, has proven to be one of Europe’s greatest tech exports in recent times. 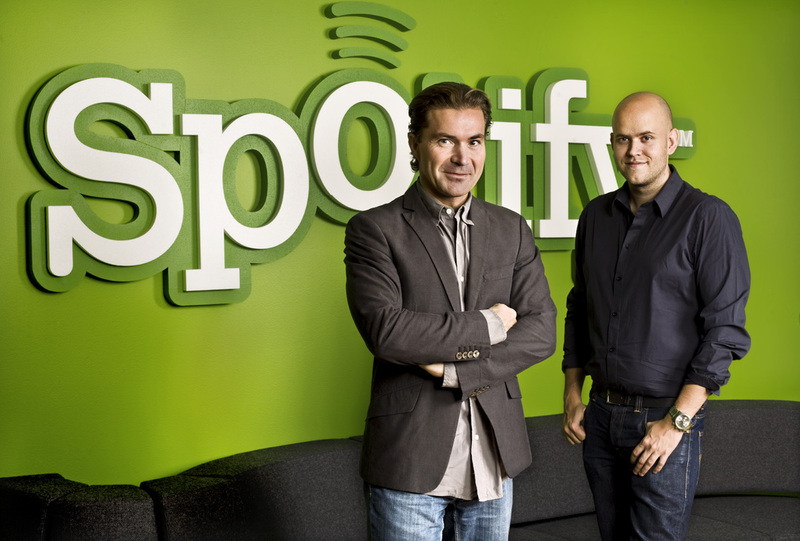 Spotify had been in development since 2006, by a company in Sweden called ‘Spotify AB’. It was founded by Daniel Ek, who was formerly the CTO of Stardoll, and Martin Lorentzon, co-founder of TradeDoubler. The story behind Spotify’s success is similar to many companies that go on to great things: it solved a big problem. Illegal file-sharing was – and is – a problem everywhere, but with Pirate Bay being located in Sweden, the country was on the radar of the American entertainment industry anyway. As Bloomberg’s Business Week notes, global revenue for the recording industry peaked in 1999 at $27bn, and by 2008 it was way down at $14bn. And it was this year that the four major record labels – Universal, EMI Music, Sony (SNE), Warner (WMG), agreed to participate in an experiment. With Merlin on board, the organization representing independent music labels, they all gave their entire catalogs to a Swedish startup run by a then-25-year-old, Daniel Ek, who had no experience in the music industry. But this was the seed that allowed Spotify to flourish. Per Sundin, head of Universal Music in Sweden, saw a demo of Spotify and realized that this could be the very thing to save music. “This can’t be true. It can’t be this good”, he told Business Week. The music streaming service went live in October 2008, and it kept its free service invitation only, something that had been in place whilst it was in the final stages of development prior to public launch. The invitation-only element was a vital part of the platform’s rise. Not only did it help manage the growth level of Spotify, but it also helped create a viral element to the service, with users each having 5 invites at first to share with their friends. But there was a paid service too, and it was this paid element of the service that was perhaps a little slower on the uptake, something that Spotify has been working hard to remedy over the past year or so. It has done this by restricting the number of hours users can listen to the free version each month, as well as introducing limits on the number of times a track can be listened to. Although the firm was founded in Stockholm, it moved its headquarters to London in early 2010, with the research and development side of the operations remaining in the Swedish capital. And in June this year, it was announced that Spotify had closed $100m in funding. Now with over 13m tracks available to stream, Spotify has over 10m users – a million of whom are paying subscribers. Prior to today, Spotify was only available in Finland, France, the Netherlands, Norway, Spain, Sweden and the UK, meaning that the US is the service’s first foray into non-European territory. This is something that Spotify has thus far largely managed to achieve, despite criticisms that artists actually receive very little of the money generated through the platform. With major record labels now on-side in the States, and a rumored partnership with Facebook in the works, Spotify looks set to go from strength to strength. A broken playing field indeed. And one that Spotify will be looking to fix now that it’s finally found its way into the US of A.